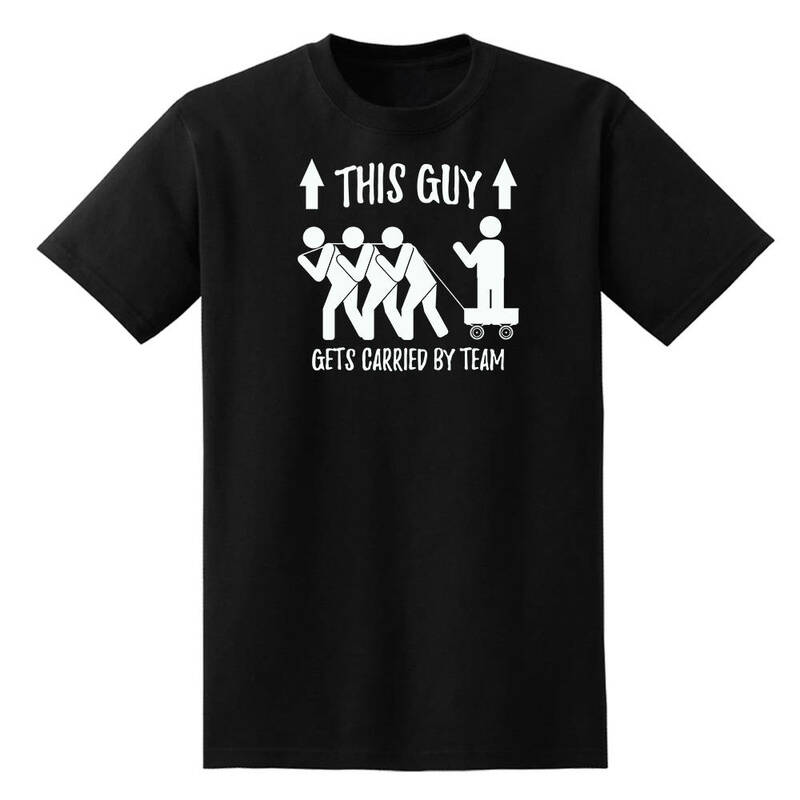 There are those who carry the team and those who shamelessly get carried. It's okay, Level1Gamers isn't here to judge you! We created a shirt just for you actually! Why break a sweat if you don't have to? Sometimes the bathroom comes calling and you sure don't have the time to take on the boss right now. 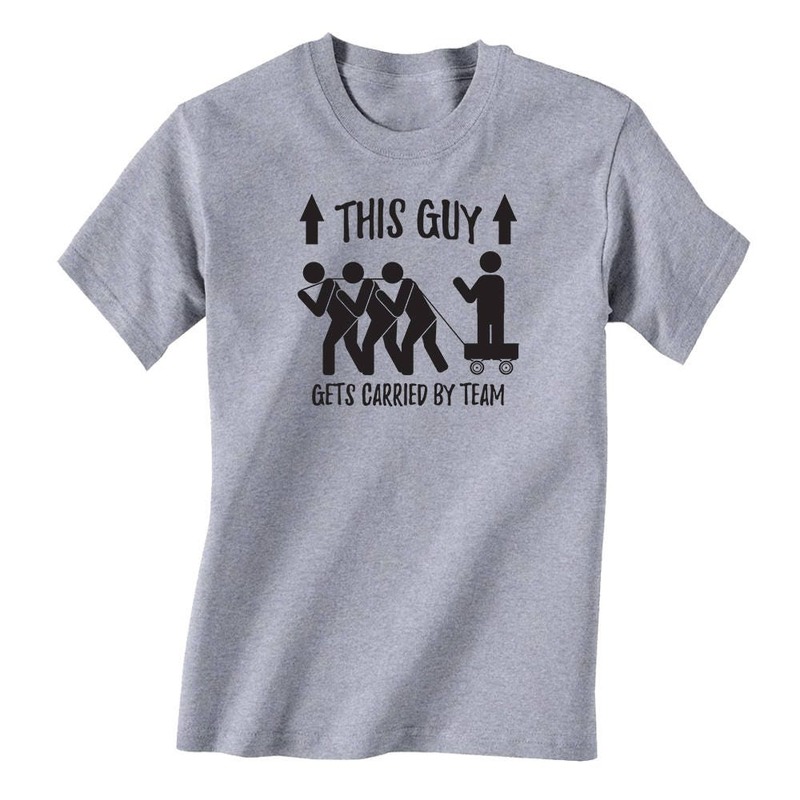 Wear this shirt as a badge of honor or buy it for a friend who does the same! Made out of comfortable soft cotton and hand pressed with high quality vinyl. 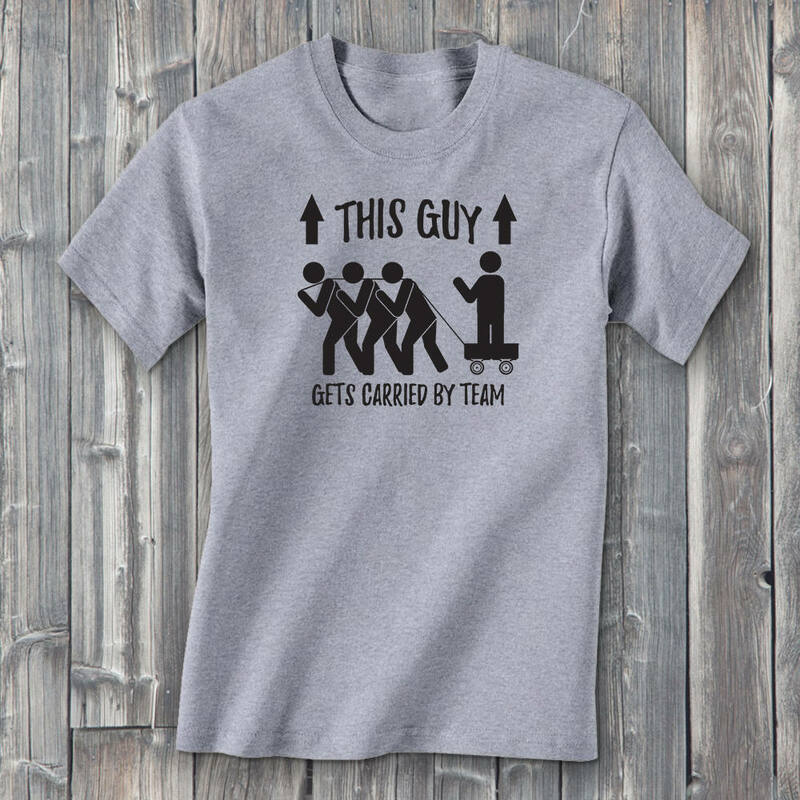 Available in many great sizes and shirt colors. 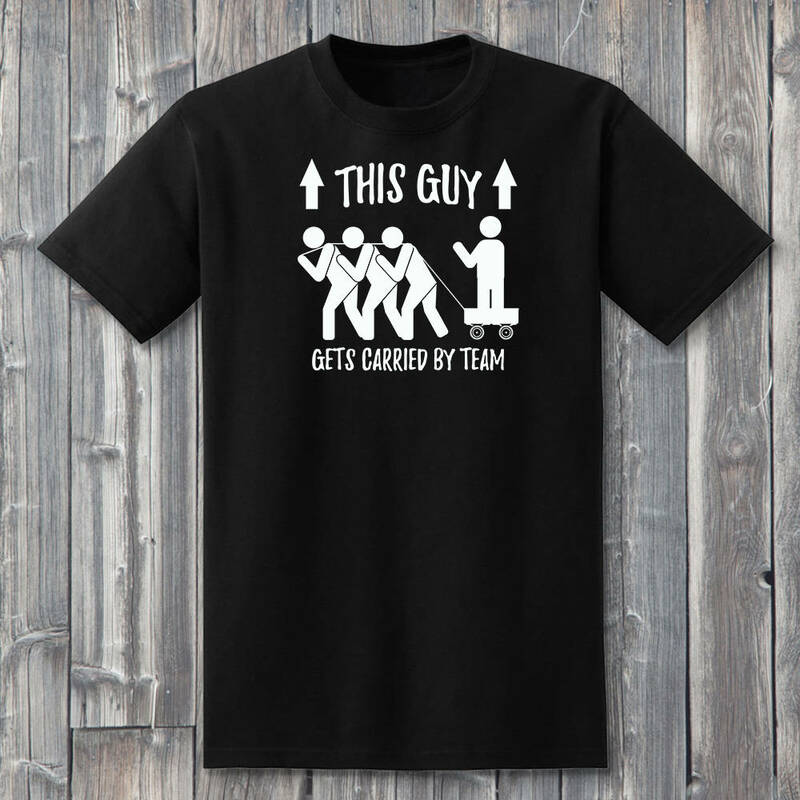 Go on, take a load off and let the other guy pull your weight for awhile!